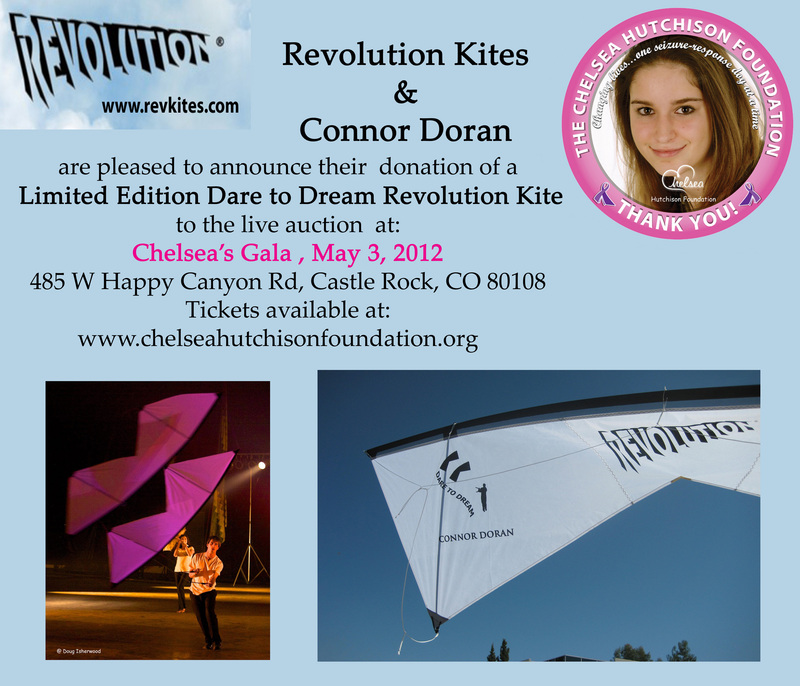 A big Thank you to Revolution Kites for supporting the Chelsea Hutchison foundation Gala on May 3, 2012 in Denver Colorado. Connor will be speaking and flying that night to support S.U.D.E.P. Awareness and Epilepsy Awareness. SUDEP (Sudden Death in Epilepsy Patients) is a condition that they are discovering is much more common then originally thought. 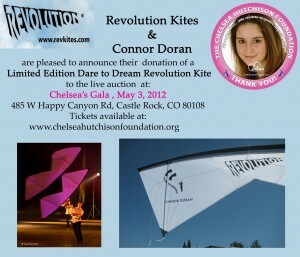 We are pleased to be a part of this fundraising event, and are honored that the Revolution family is joining forces.